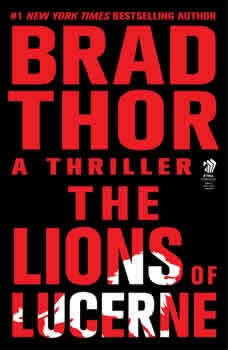 In a daring and chilling debut, Brad Thor draws us into a sinister labyrinth of political intrigue and international terrorism, serving up an explosive cocktail of unrelenting action as one man is pushed to the edge. On the snow-covered slopes of Utah, the unthinkable has just become a nightmarish reality: thirty Secret Service agents have been viciously executed and the vacationing president of the United States kidnapped by one of the most lethal terrorist organizations in the Middle East -- the Fatah Revolutionary Council. But surviving agent and ex-Navy SEAL Scot Harvath doesn't believe the Fatah Revolutionary Council is responsible for the attack. Driven by his professional code of duty and honor, Harvath creates his own rules to get some answers. But his search for the truth raises the blood pressure of his superiors...and casts his own life in mortal jeopardy. The deadly machinations have been set in motion by a shadowy coalition, comprising some of the highest-ranking officials in government and business -- men who operate above the law, men who realize the threat Harvath poses to their hidden agenda...men who will do anything to stop him. Framed for murder and on the run, Harvath takes his own brand of justice to the towering mountains of Switzerland where he finds an improbable ally in the beautiful Claudia Mueller of the Swiss Federal Attorney's Office. Together they must brave the subzero temperatures and sheer heights of treacherous Mount Pilatus -- and enter the den of the most notorious team of professional killers the world has ever known.